MENUISERIE LECLAIR is a firm from Belgium which works in the fields windows, restoration and renovation contractor, . People from multiple countries enjoy the supplied services and products. Get advantage from the vast collection. 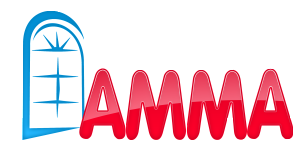 At our site you will get all the contact detail just like telephone number or internet-site. Paprotta GmbH is a manufacturer business from Germany which is active in the areas restoration and renovation contractor, consulting - construction and civil engineering, . Clientele from various international locations get pleasure from the presented services and goods. Get advantage from the vast range. At this webpage you will find all the contact details just like telephone number or website. 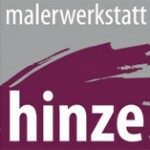 Hinze Malerfachbetrieb GmbH is a manufacturer business from Germany that is active in the segments restoration and renovation contractor, thermal insulation materials, glass bricks, consulting - construction and civil engineering, fences and gates, painting contractor, import-export - construction, ceilings, . Clientele from many different regions get pleasure from the offered solutions and goods. Get advantage from the massive assortment. On our site you will find all the contact data which include phone number or webpage. Nierlich GmbH is a manufacturer organization from Germany that works in the areas plaster, concrete, fireplaces and stoves, plaster, painting contractor, restoration and renovation contractor, . Purchasers from numerous international locations benefit from the presented solutions and goods. Profit from the big assortment. On our website you will discover all the contact information for example, telephone number or internet-site. SchweSa Haller GmbH is a manufacturer vendor from Germany which supplies products and services in the segments doors - houses, windows, construction finishings, restoration and renovation contractor, . Customers from numerous international locations appreciate the supplied solutions and wares. Benefit from the large selection. On this site you will find all the contact detail which include phone number or website. Frambach GmbH is a manufacturer vendor from Germany that supplies goods and professional services in the areas building company, restoration and renovation contractor, . Clients from various international locations appreciate the provided solutions and wares. Get advantage from the wide range. At this site you will get all the contact info for instance telephone number or website.